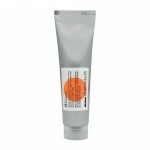 Cleanser ideal for coloured hair. It's formula, characterized by a rich and full-bodied foam, is designed to gently cleanse coloured hair, protecting the colour and keeping it shiny for a longer period of time. Apply to wet hair. Massage gently and rinse. 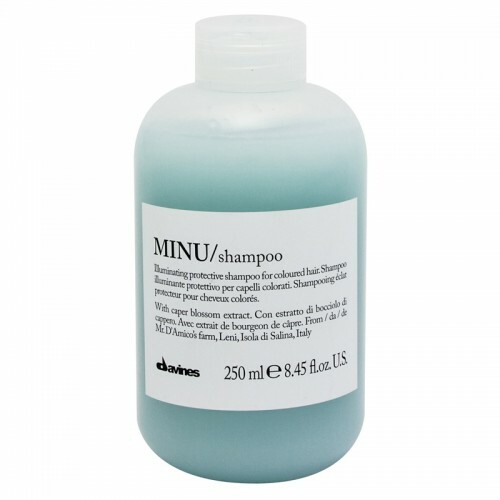 Repeat shampoo application, then apply Minu conditioner or Pak, depending on your needs. 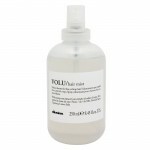 Davines Volu MistIts leave-on formula is recommended for volumizing hair from its base. It does not weigh down the hair. 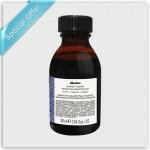 It adds volume leaving the hair soft and shiny.Size: 250 mlHair Type & Condition: Ideal for all types of hair requiring volumeFeatures & Benefits: Does not weigh down the hair Adds volume leaving the hair soft and shinyUsage Instructions: Apply to towel dried hair after using V..
Davines Alchemic Pump - Black Size: 250 ml..
Davines View (Clear Gloss)Davines' new demi-permanent coloring system. Formulated with an acidic pH, VIEW fades naturally and beautifully over 6-8 weeks/15-20 shampoos, depending on the condition of the hair. 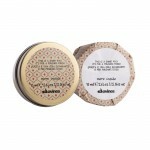 VIEW works with a variety of color services: Adds tone to natural and previously bleached/lightened hair Neutralizes previous color services, refreshing lengths and ends Disguises up to 50% ..
Davines SU Aftersun Cream For Face and BodyAfter-sun cream gel specially formulated to hydrate and restore moisture to the skin. 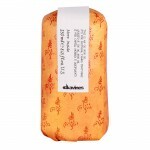 It contrasts skin reddening and burning after sun exposure with a targeted soothing and cooling action. The SU line has a floral (camellia and mimosa), fruity (apple) and woody fragrance.Size: 150 mlHair Type & Condition: For skin after sun exposureFeatures & Benefits: ..
Davines Alchemic Shampoo RedColour shampoo suggested to enhance natural or cosmetic red or mahogany hair.Size: 280 mlHair Type & Condition: For natural and coloured hairFeatures & Benefits: Direct pigments - pigments that colour directly without the activator use Gentle surfactants - to gently clean Hydrolyzed milk proteins - intense conditioning and protecting action Mild surfact..
Davines Love Hair Smoother Its leave-on formula is recommended to straighten wavy and frizzy hair in an invisible way. It does not weigh down the hair. 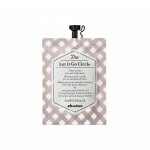 It does not leave residue and keeps the hair soft and shiny.Size: 150 mlHair Type & Condition: Ideal for frizzy or unruly hair for a straight stylingFeatures & Benefits: Straighten wavy and frizzy hair in an invisible way Does not weigh down the h..
Davines The Let It Go Circle Hair MaskSoftening mask for scalp and hair that needs a break from hectic everyday life. Its fragrance promotes a sensation of relax.Size: 50 ml & 750 mlHair Type & Condition: For all hair typesFeatures & Benefits: Its fragrance promotes a sensation of relax. 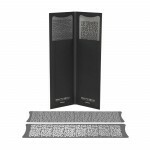 High conditioning effect Usage Instructions: Apply to towel-dried hair after shampooing. Process for 3 minut..
Davines Love Smoothing ShampooCleansing formula, characterized by a soft and creamy foam, is designed to gently cleanse frizzy hair and favour styling, making the hair smooth. Winner of Allure magazine's 2014 Best of Beauty Natural WondersSize: 12 ml, 75 ml, 250 ml & 1,000 mlHair Type & Condition: Ideal for frizzy or unruly hair for a smooth lookFeatures & Benefits: Gently cleanses frizzy hair an..
Davines Authentic Cleansing Nectar Hair / BodyA mild oil-texture shampoo which gently cleanses hair and body. 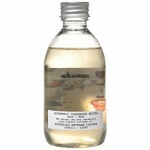 It contains 98% natural origin ingredients and organically grown safflower oil. The formula is free from SLES , parabens, artificial colours, silicones, sulphates and PEG.Size: 280 ml & 12 x 12 ml (Sachet)Hair Type & Condition: For all hair/skin typesFeatures & Benefits: Blend of biodegra..
Davines This Is A Shine WaxLight hold creamy wax, for a polished finish. 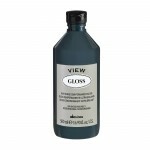 Ideal to create glossy and sleek looks with a natural shine effect. Size: 75 mlFeatures & Benefits: It's lightweight formula is easily reworkable It gives flexible support, ensuring a never sticky and weighed down hairUsage Instructions: For a light wavy effect on normal to coarse hair use it a styling tool applying on damp ..
Davines Imprinter Evolution Stencil Kit Kit of 2 different patterns x 2 stencils/pattern for a total of 4 stencils Imprinting Evolution Stencil Kit features the Star Cluster and the Constellation patterns Easy to clean and re-use in infinity Presented in elegant cardboard sleeve Size: 1 Kit..
Davines This Is An Oil Non Oil Davines Oil Non Oil controls frizz and adds body, leaving hair soft and shiny.Size: 250 mlFeatures & Benefits: Defines Gives structure Dries out quickly Does not leave residues Has a memory effect Anti-frizz action Anti-gravity action Wet effect WorkableUsage Instructions: Apply a small amount of product to dry hair and then arrange it as you wish. 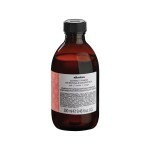 Depending on ha..
Davines Naturaltech Replumping ConditionerFormulated to untangle, compact and give hair better elasticity. 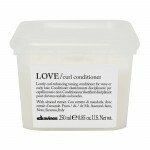 The selected active ingredients give moisturize and protect hair. This is a Naturaltech product.Size: 12 ml, 150 ml & 1,000 mlFeatures & Benefits: The selected active ingredients give moisturize and protect hair.Usage Instructions: Wash hair with Replumping Shampoo, remove excess water and a..
Davines A New Colour Cream BaseCream base to be used with A New Color amonia free permanent cream colors, or bleaching powder. Enriched with metasilicate. Can guarantee the perfect lightening and the perfect white hair coverage on any type of hair.Size: 400 mlHair Type & Condition: For all hair typesFeatures & Benefits: The perfect lightening and the perfect white hair coverage.Usage Instructions..
Davines Alchemic Shampoo Silver (Travel Size)Colour shampoo suggested for white hair and for hair that has just turned yellow due to bleaching or long exposure to sun.Size: 1 PackHair Type & Condition: For natural and coloured hairFeatures & Benefits: Formulated for natural and cosmetically treated hair Reactivates colour brightness Stabilizes and ensures the intensity of the colour ..
Davines Love Curl Enhancing ConditionerVolumising and detangling cream for wavy and curly hair, with an intense anti-dryness and softening action. 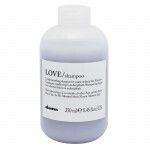 Size: 12 ml, 75 ml, 250 ml & 1,000 mlFeatures & Benefits: It efficaciously nourishes and detangles without weighing down hair. 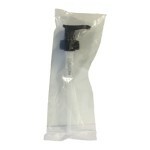 It improves the volume of curls leaving hair soft and shiny. Usage Instructions: Evenly apply a suitable amou..